Since its introduction over 40 years ago, contact center Workforce Management (WFM) software has become a mission critical application for call centers of "meaningful" size and complexity. The compelling justification for accurate forecasting and scheduling has always been the fact that as much as 70% of a center's operational cost is personnel. The WFM category has evolved into a broader set of solutions called "workforce optimization." However, forecasting, scheduling and day-to-day management of the frontline workforce is still arguably the single most important component of what is now seen as a necessary suite or portfolio of technology applications - all considered essential to "optimizing" personnel resources. In spite of how prolific the technology solutions have become, a high percentage of users of the these systems report dissatisfaction with their system, their vendor, and their outcomes. The nature of the WFM or WFO task is inherently complex in most operations and while technology and software will always advance to address these issues, software alone will never fully meet expanding expectations of the call center operations leader. An understanding of the timeless underlying principles and concepts along with the latest innovative software features and delivery offerings hold the best promise of fulfilling the goals of truly "optimizing" the call center workforce. 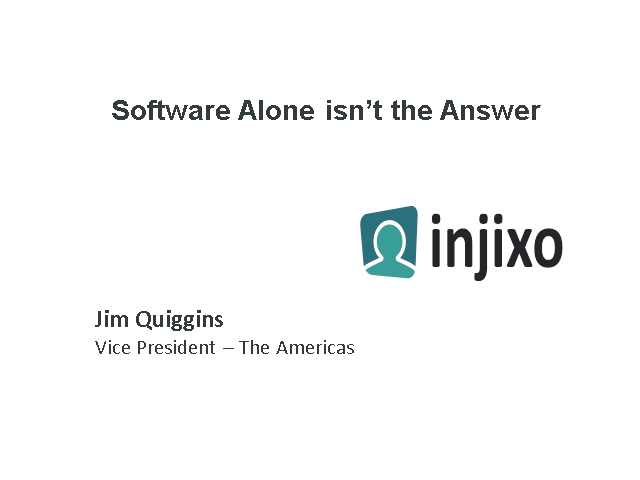 Injixo is a series sponsor for CCNG's Optimize events 2012. For more information on the CCNG Optimize events, webcasts and speaker content, please see - OptimizingCustomerContact.com.